Having personally scoured six continents for places to challenge myself in the ocean, it has been the waves of County Clare on the pristine western shores of Ireland that have provided me with the experience and ability for my surfing exploits to put me in situations I could not have dreamt of fifteen years ago. It is this magical string of surfing breaks that have ultimately led to my involvement with Patagonia. Editor's note: Two world-class waves in Ireland are currently under threat of development and need our voices. Patagonia surf ambassador Tom Doidge-Harrison describes the situation in today's post, and gives you two easy ways to help save the waves. 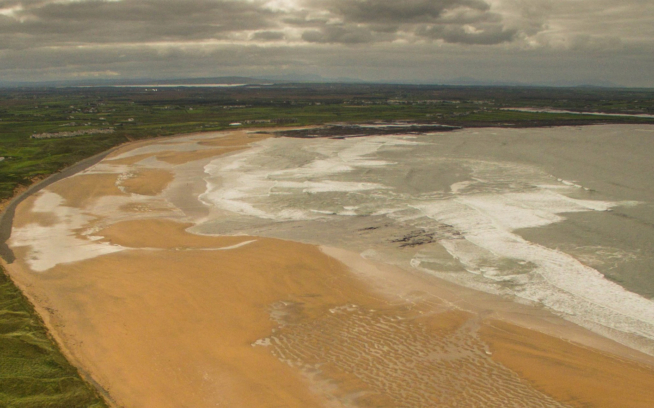 Sadly, this area may not remain quite so magical for long as two of its keystone breaks, Doolin Point and Crab Island, are currently under threat by a harbour development in Doolin, the heart of Irish surfing. Ferry operators use an existing pier to offer tourist rides under the nearby Cliffs of Moher and out to the Aran Islands. This once cottage industry has out-grown itself and the unsuitability of the location for the large, yet still seasonal, operation it desires to become is increasingly clear. The County Council propose to address this by providing berthing through the tidal cycle using an ill-conceived pier structure with rock armouring and drill and blast dredging. It all amounts to something about the size of a football field within spitting distance of the nearby tubes. They are also using legislation (Part 8 Planning) enacted for national infrastructure projects to push it through with no requirement for environmental impact assessments and, bizarrely, no chance for appeals should the proposal be approved. It works like this – the Council apply to themselves for planning permission and when they realise that they would like permission, they grant themselves permission. End of story. The current proposal risks upsetting the delicate balance of water movement and wave action at the two breaks through wave reflection and current alteration. It also presents a navigational and safety issue by forcing paddling surfers into the path of moving ferries. You don't have to be a surfer to understand that the latter point is bad news. You can view the proposal at the Clare City Council website. Ironically, the purse-strings for the development are held by the Department for Environment, Heritage and Local Government. Crab Island and Doolin Point are unique locations where waves right out of the top drawer of the world's limited surfing resources break. While they don't break every day, they can break any day of the year with the speed, power and form surfers need to challenge themselves. These waves are world class. 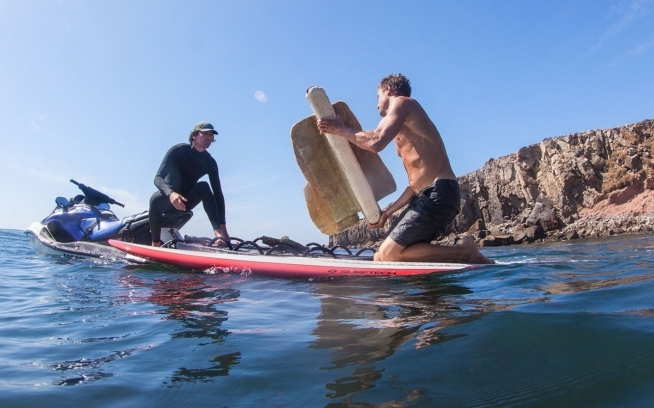 Surfers travel not only the breadth of Ireland but also globally, to spend time amongst them throughout the year. These surfers have to eat, sleep and may even be partial to the odd pint. Many County Councils of the world would pay millions of euros to have these resources at their shores, and some have even tried. Yet Clare County Council are risking destroying them permanently by not allowing surfers to simply have an input at design level to create a win-win solution for this proposed pier. Take Action! You can help by registering your discontent at our online petition: "Change Proposed Doolin Pier Design"
These tourist attractions didn't cost a penny to "develop," there is no charge to use them and they are completely renewable – solar powered if you will. Surely the Department for Environment, Heritage and Local Government likes the sound of that? I hope so, as they could be the ones having the final word on this. For more on this issue, please visit Save The Waves Coalition.